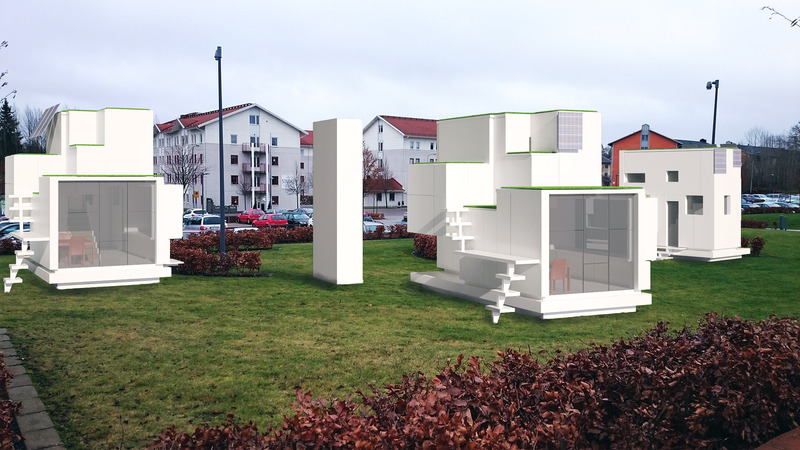 Modular housing proposal for student campuses, January 2016. The design was inspired by current modular housing, in which easy to recycle material is used. This project was done primarily in Sketchup and Photoshop, to illustrate how the project would look like on university grounds.